The Best Books Ever: The Witchling Blog Tour: Excerpt + Giveaway! 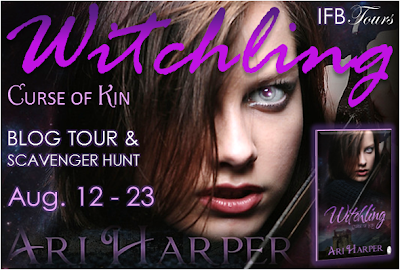 The Witchling Blog Tour: Excerpt + Giveaway! Nera is a normal teenage girl living in Ireland-or so she thought. 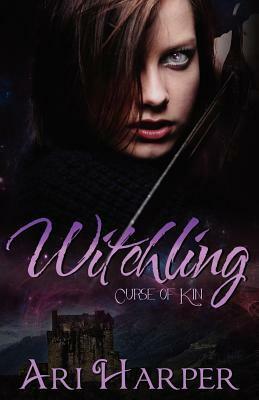 Her world is forever changed when she discovers that she is descended from a long line of witches. To her horror she finds she is the one that is supposed to stop the curse that has taken the life of every girl before her. As if that isn't enough, she must learn to use magic and her trainer is a man named Bones. He is the son of Mari, Queen of the Witches, and a god. It is Bones that has been entrusted to teach her the skills she needs to stay alive, which wouldn't be so bad if he didn't have an uncanny knack for pushing her buttons. Can Nera learn what she needs while staying immune to the charms of the man that gets under her skin at every opportunity? "So why was I slowly starting to believe in magic and curses? of his family. That was what pushed my indecision over the edge. had a feeling it would be a very long way"
Gods, witches and demons surround Ari while she spins her magic, doing mainly what they tell her to do. Given a chance, she prefers to work amongst chaos, which is good because she is constantly surrounded by children, all clamoring for attention. Some of them end up in her stories, some of them even get to die grisly deaths or be cast away to another realm. i really love the sound of this book^^, thank you a lot for the discovery! Love this cover! I have Shana's Dracon series on my to-read list. Gotta add this one now too! :) Thanks for the giveaway! Oh! Just realized it's by Ari Harper! Ooops! Oh well. Still looks like a fun read! Okay...can you give me a hint to finding the answers to these hints? 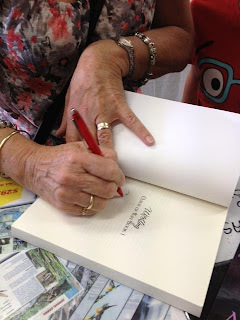 I've been scouring the blogs that are part of the tour, but haven't found the answers. Do I have to have read the book?